The sinkhole opened up on Macon Road after a water main broke. MEMPHIS, TN (WMC) - Part of Macon Road is closed after a sinkhole opened up. 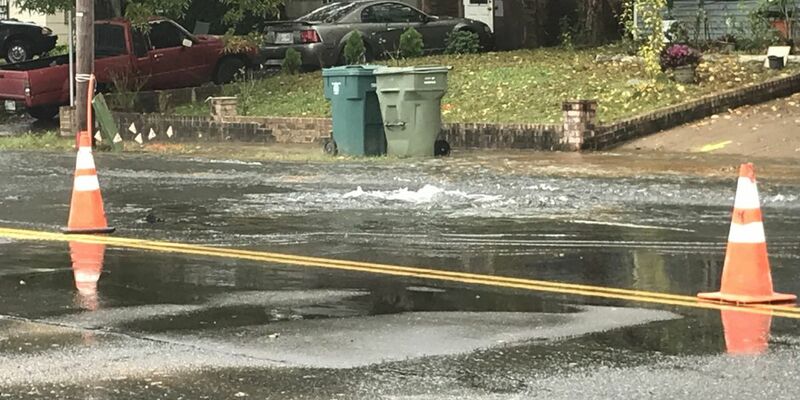 Memphis Police Department said the sinkhole was due to a broken water main that opened it up Thursday morning. Eastbound lanes of Macon Road are closed between Maria Street and North Graham Street. Drivers are encouraged to avoid the area until repairs are finished.